Finding a used vehicle that satisfies all your needs is easy when you drive with Mercedes-Benz of North Olmsted. Drivers who shop our selection of used vehicles priced under 20k can get the luxury they deserve without breaking their budgets. Our lineup of affordable pre-owned vehicles includes a hand-picked grouping of classic Mercedes-Benz cars and SUVs, as well as a variety of models from other manufacturers. Even if you aren't searching for a Mercedes-Benz, you're sure to find an option that excites you on our lot. A pre-owned Mercedes-Benz priced under 20k may sound too good to be true, but we here at Mercedes-Benz of North Olmsted know that seeing is believing. Start exploring our lineup of used luxury vehicles today! Once you've found a few models that pique your interest, contact our sales team to schedule a test drive. When you're behind the wheel of one of our vehicles, you'll experience the Cleveland and Westlake areas like never before. 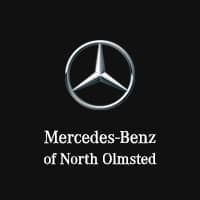 Drivers who choose Mercedes-Benz of North Olmsted will be able to benefit from the know-how of the highly trained technicians at our service center. We only use genuine OEM parts in our repairs, so you can be sure that you'll get superior performance out of whichever used vehicle you settle on. We'll even help you value your old vehicle when it's time to trade up for a new ride.